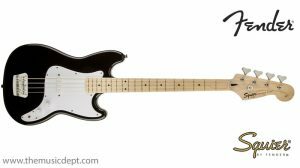 The Squier Bronco Bass is ideal for guitarists who occasionally need a bass, younger beginners, players with smaller hands or anyone who prefers the feel of a short scale (30″) bass. 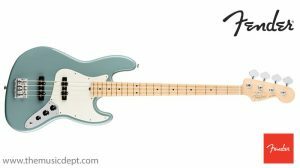 Great tuning stability, versatile tone and easy playability make this instrument a great first bass or addition to your stable of instruments. 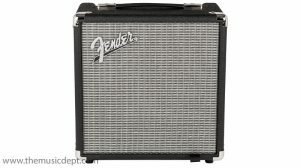 The comfortable “C”-shaped neck profile of this instrument (the shape of the neck in cross section) is sculpted to impart a vintage-style playing feel. The most prevalent neck profile shape, it’s remarkably comfortable and is ideal for all playing styles. Long used for necks, maple combines clean, crisp looks with durability and tone. 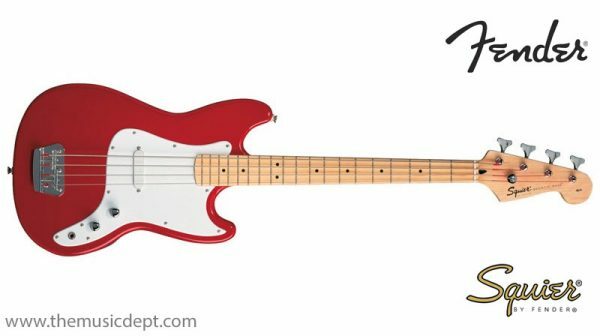 The specially designed single-coil pickup on the Bronco Bass is full and rich-sounding. 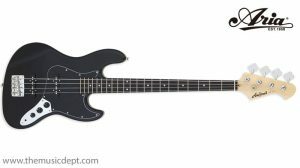 Be the first to review “Squier Bronco Bass” Click here to cancel reply.